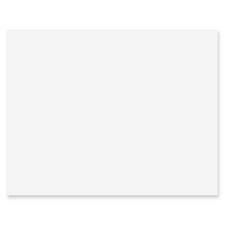 Plastic Poster Board is waterproof, tear-resistant, durable and flexible. It accepts all types of media and is perfect for home, office, school and art projects. 12 point polyethylene material is lead-free. 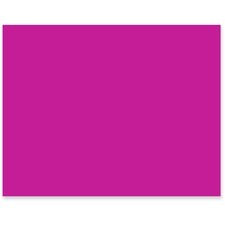 Neon poster board offers a vivid, fade-resistant color on two sides and a smooth, hard finish. 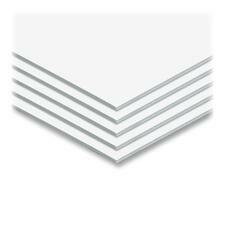 Rigid, 12 point board takes all media and is ideal for wet and dry projects. It is recyclable. Four-ply railroad board is brilliantly colored on both sides. It is great for construction, art projects, mats, mounting, block printing, painting, markers, stenciling and posters. 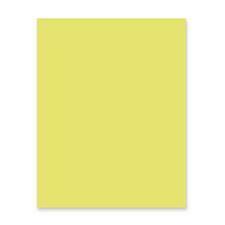 Companion replacement paper packs of perforated, printable inserts are designed for use with Durable Office Products Click InfoSign Interior Signage Systems. 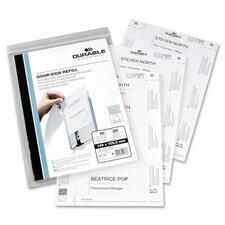 Paper inserts are microperforated for easy removal. Simply print and insert into the aluminum/acrylic information sign panels. Predesigned templates are available online. Language options include English, French and Spanish. Railroad board features a smooth, uniform finish that works well with both wet and dry media to provide a truly versatile worksurface for your next project. 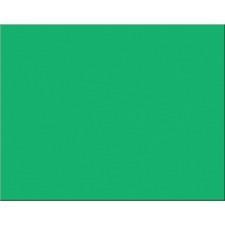 Brilliantly colored on both sides, this durable board adds a colorful way to make embellish your ideas. 22" x 28" size is large enough to be cut or scored for even more ways to express your creativity. 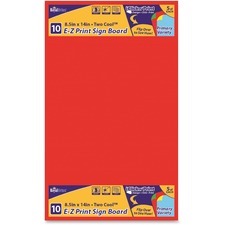 Railroad board is perfect for construction, art projects, mats, mounting, painting, markers, stenciling and posters. Create eye-catching signs using your printer and these sign boards. Simply design your image and print directly to the sign board. Water-resistant, fade-resistant sign board is great for use with all laser and inkjet printers. Uniform finish is smooth and hard with vibrant color on both sides. Posterboard for a variety of art and craft uses.